Beautiful TH on corner lot w master on main! New hardwood flooring throughout main level. Home offers open floor plan. Stunning living room off entry of home with cozy gas fireplace. Living room opens up into a bright dining area. Spacious kitchen with SS appliances, granite counter tops, tile back splash, large center island and plenty of storage space! Over-sized pantry in the kitchen as well. 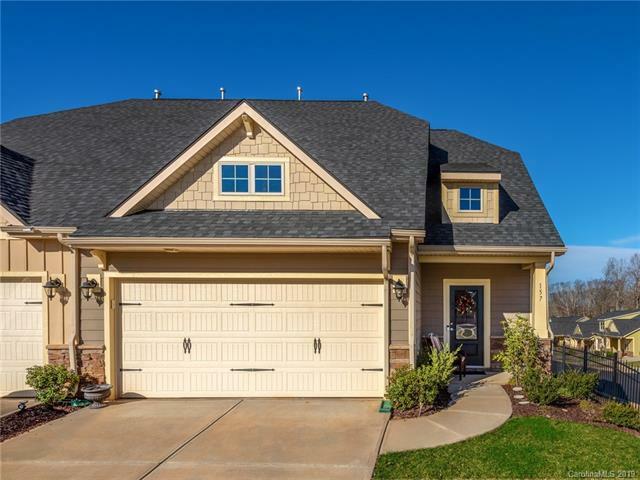 Large master on main with tray ceilings & walk in closet. Master bath with his & her sinks and enclosed shower area. Loft area on second level perfect for an additional living room or for whatever suits your needs. Additional bedrooms and bath upstairs are spacious as well. Covered patio area off of the back of the home is perfect for relaxing evenings outside. There are garden beds behind the properties where each owner gets two. Great community amenities. Come see this home today!